Hour of the Zombie, which will be released in individual volumes with color inserts starting with Vol. 1 (MSRP $12.99) in April of 2016, takes place in an ordinary high school, which is suddenly beset with a zombie epidemic among its students. 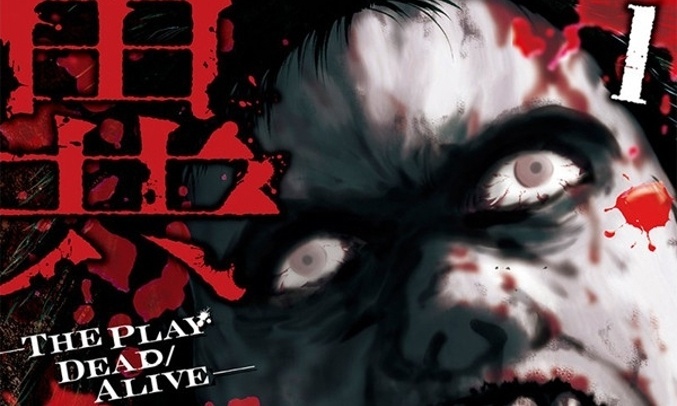 When the plague suddenly subsides and the school returns to a near normal state, suspicions run high, especially in regards to those students who have “turned.” This seinen series, which is known as Igai—The Play Dead/Alive in Japan where the now 2-volume series is still ongoing, should appeal to fans of High School of the Dead and The Walking Dead. Debuting from Seven Seas in January of 2016 is The Testament of Sister New Devil, a fan service-filled shonen manga series by Tetsuto Uesu that debuted in Japan in 2013. The manga is based on a series of action-packed fantasy light novels that were also written by Uesu, and which have inspired an anime series that began airing in January and is being simulcast on Crunchyroll. The third new Seven Seas title is My Monster Secret, the first volume in another supernatural manga action comedy series that has reached 11 volumes in Japan where it is known as Jitsu wa Watashi wa. Written and drawn by Eiji Masuda, My Monster Secret has all the trappings of a shonen supernatural high school saga including aliens, demons, vampires, werewolves, and girlfriends with serious issues. The first volume of My Monster Secret, which will be released in normal size volumes, is due out in January. This entry was posted in Comics/Manga news on May 13, 2015. Is Marvel Relaunching or Rebooting their Line in September?Congratulations to Walter Egli!